I'm a very picky potato salad person. I don't like too much mustard or pickle taste. Bleh...both are such a strong overpowering ingredient. So, I've been experimenting for the past month on the perfect recipe. After multiple taste tests and a lot of recipe changes...I've finally got it. The greatest, and now most requested side dish, for my family. Wash and dice potatoes into 1 inch squares. Put in a 4 quart pot and fill with water to cover potatoes. Bring to a boil over high heat. Boil for 10 minutes or until soft. Drain potatoes and place into large bowl. Mix remaining ingredients in a separate medium bowl. Pour over potatoes. Mix thoroughly. Refrigerate for 1 hour before serving. Best if chilled overnight. It's funny I thought I might be the only one left with a 1/8 measuring cup (which I cherish). 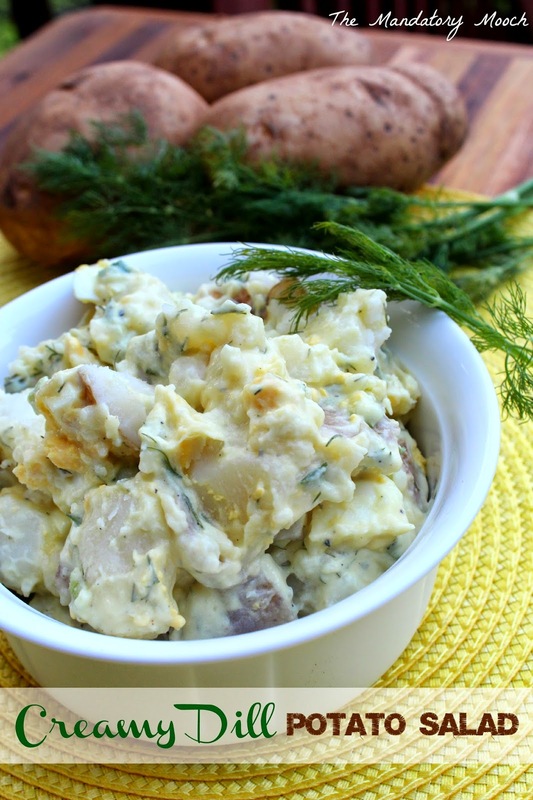 Your potato salad sounds and looks delicious. Looks really creamy and good! Thanks for sharing on the What's for Dinner link up! Looks and sounds perfect to me! Thank you for sharing on Merry Monday! Have a great week! Looks yummy and right up my alley! Thanks for sharing on #TurnItUpTuesday. 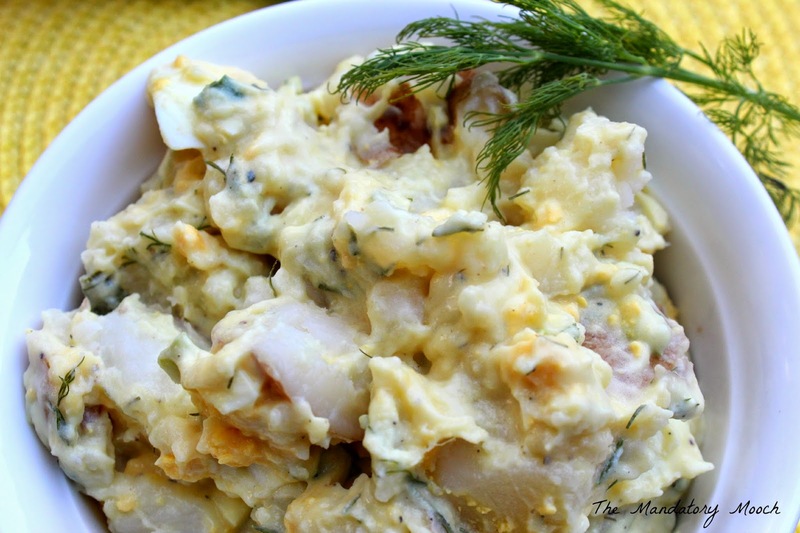 I've been looking for a potato salad to try this summer and I think I may have just found it! Thanks for linking up to The Creative K Kids' linky party I can't wait to see what you share with us next week! Oh yummy! Thanks for sharing at the #InspirationSpotlight party @DearCreatives Pinned & shared.